HMOs are different to standard buy-to-let properties in that regulations regarding fire safety can be more complicated and are often more expensive to implement. But don't worry. Fire regulations tend to be nothing more than common sense and your local HMO enforcement officer is there to help. Today we are going to be looking at fire safety requirements for houses in multiple occupation (HMOs). Whether you are thinking of buying an HMO, or refurbishing a property and converting it into an HMO, understanding what fire regulations there are for that kind of property is going to be essential. As a landlord or investor, when it comes to HMOs, there are more things to consider, than there are with more straightforward investments such as buy to lets. The fire regulations and rules around fire safety are more detailed and there is more to do to get the property up to standard. One of the reasons that HMO fire regulations are stricter is that in a house in multiple occupation the tenants won't necessarily integrate with each other or won't necessarily get on with each other that well. They might not even talk to each other on a regular basis. What you don't tend to have in a family home or straightforward buy to let property is a situation where rooms are regularly locked. 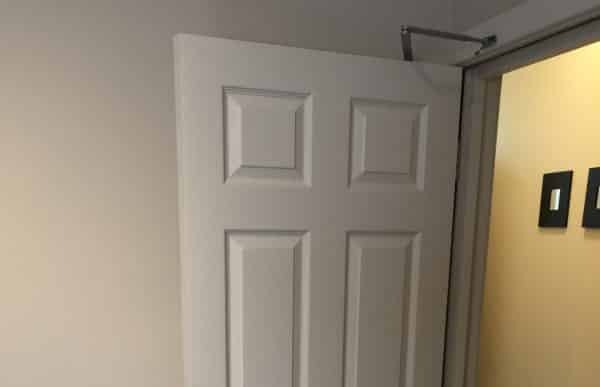 In an HMO this can be a standard practice and of course, locked rooms can mean people not having a clear exit and ultimately not being able to get out of the property easily should they have to. What Is An HMO Enforcement Officer? An HMO Enforcement Officer works for a local authority to ensure that the Houses In Multiple Occupation in a given area meet the required standards. When it comes to HMO fire regulations I strongly suggest you speak to your local HMO Enforcement Officer. I know a lot of investors get worried about doing this. This is because they think that the HMO Enforcement Officer is going to give them a huge list of expensive (but unnecessary) works to carry out on the property. Most often this is a misconception. The HMO Enforcement Officer's role is to make sure that the properties in their area are safe to use and fit for purpose. If you speak to the Officer on the phone, very often they will offer to come and look at your property for free. When they visit the house they will offer tips and advice on how you can make sure that the property is sufficiently suitable for the tenant profile that you are looking to market to. The advice you get from an HMO Officer is often quite simple and straightforward. What seeking advice from this source means is that you have another person, independent to yourself, offering their opinions on what that property needs to have (particularly when it comes to health and safety, HMO fire regulations, fire safety and things of this ilk). The above video was shot in a property that we at Property Investments UK have recently refurbished and converted into an HMO complete with full fixtures and fittings. So, with regard to fire safety, there are a few things that we have done on this property which may help give you an insight into what you should be doing with yours. First of all, we consider thumb turn locks to be essential. We put these on the bedroom doors and on the front and back doors as well. Thumb locks give the property an escape route. If there is a fire then the situation would be made much deadlier if a tenant can't get through a door because it is locked and the key isn't to hand. So health and safety regulations state that you need to make sure that the tenants have always got a clear exit route. Thumb turn locks are a big part of what makes this possible. Fire doors are an essential feature of HMO fire safety regulations. The rule is that, as a landlord, you need to make sure that all escape routes from the property are protected. This is achieved primarily using fire doors. So in a typical house, the escape route from a bedroom would be: Out of the bedroom, down the stairs, into a corridor and then out through either the front or the back door. In this example, the escape route would avoid the kitchen which is a particularly high-risk area. The kitchen, therefore, would be completely separated using fire doors so that the exit route wouldn't be exposed. In the property that we've just finished, we have five bedrooms, a communal lounge and a kitchen. All the bedrooms have fire doors. The kitchen has two fire doors, one at each entry point. We also installed a fire door in the communal lounge. By doing this, all areas are sufficiently protected so, in the event of a fire in a particular part of the building our tenants will have sufficient time and enough warning to get out of the building through a safe route. This is why it is key that you speak to your local HMO Enforcement Officer. They will come out and have a look at the building and assess it for things such as escape routes and the correct use of fire doors and thumb-turn locks and help you make a fire safety plan. Every property is different so it is very difficult for me to tell you exactly what you should be doing in a short video such as this. So as we've said, you need fire doors complete with intumescent strips, door closers and thumb turn locks. You will also need fire alarms in all the bedrooms, the corridors and the communal areas. You should install a smoke fire alarm in the key areas of the house I listed above and a heat fire alarm in the kitchen. If you are unsure of the difference please see: Heat Detectors vs Smoke Detectors: What’s the Difference? Ideally, all your smoke alarms should be integrated so if one goes off the rest go off. Depending on the size of your HMO you may also need to look at upgrading your fire alarm system to a panel system. This decision will be dictated somewhat by the number of rooms, the number of bedroom spaces and the number of people living at the property. Again, I recommend speaking to your local housing office and asking them what requirements there are in the area as regulations can be area specific and set by the local council. You need to make sure that you have ticked all the fire safety boxes and met all the health and safety requirements for the property and the number of people you are hoping will live there. Fire protection is constantly being improved across all property types and HMOs are no different, especially as HMOs are classed as a higher risk property type with multiple tenants. 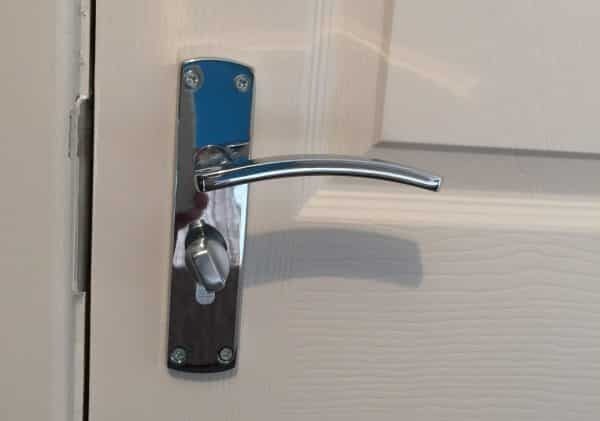 This covers a range of requirements from fire protected escape routes, to alarms, fire doors and windows for primary or secondary escape depending on the property layout. This is very important to get right and working with your local council HMO officer will be a good starting point so they can guide and advise on requirements. Even if your property doesn't currently require a licence due to its size and number of tenant occupiers, it's advised to get your property up to the same standards that licensing requires, this way you can provide not only the best property for your tenants but also future proof from any legislation changes. For example in Oct 2018, the requirements for licensing of HMOs changed significantly. This increased the scope of the number of properties that would now require mandatory licensing and laid the basis for minimum room sizes among other standards. As part of this making sure your property covers all requirements for Housing Health & Safety Rating System (HHSRS) will be very important and will form the starting point for a local councils requirement for your property to be up to standard. This fire risk assessment will look at a host of measures from reducing the initial risks of a fire through to escape in an event of a fire. Fire escape routes can often be the main staircase and corridor, which needs to be a protected route to the front or rear door as a means of escape without going through high-risk areas like kitchens. Fire escape routes is also a consideration with your windows. Making sure you have the correct size windows to open for escape is an important consideration if this is your primary or secondary escape route. Windows will also be a key part of your consideration in your HMO property in general. For your tenants to be able to escape a fire is one element. Energy efficiency is another. Making sure your windows are sourced and fitted correctly to make the best use of modern materials to make sure your running costs are kept low. Even general tenant safety from a cill height placement point of view, window considerations with HHSRS comes in to play. Having your windows fitted by a registered window fitter can help with quality and peace of mind here. Fensa is a great benchmark to make sure you have your windows supplied, fitted correctly and fit for purpose. I hope this gives you a bit of an insight in terms of what's required when it comes to looking at the fire requirements for your next HMO. At the bottom well include a few links to resources for learning more about HMOs to help you on your way. We hope you find them useful. What Room Sizes Do I Need in an HMO Investment? How Many Bathrooms Do I Want In My Next HMO Property? How Many Bedrooms Do I Want In My Next HMO Property? If you have any questions or thought you'd like to share on how to go about fire safety, HMO fire regulations or the HMO Enforcement Officer then please leave them in the comments section below. We'd love to hear from you and we're always happy to help. i am an architect and have been approached about designing an HMO on an empty site. Can you advise on parking requirements for 15 rooms? would a fire risk assessment be required? The real world has thousands of streets lined with flats above shops. There are 3 floors of residential flats above the shop. Each flat is owned on 999 year leases paying pepervorn £100/yr ground rent. The ground floor and basement are a shop held on a 15 year lease. If both flats are owned and occupied by families I think not, but I’m not sure. If one of the flats is occupied by 4 students I think that flat would become an HMO but would this impact the other flat in any way such as fire alarms? Everything I read assumes short lease tenants. The real world aint like that round ‘ere gaffer. This is why there are some many variables to licensing, planning, building control, and tenancies. There are some many different aspects to consider that each have a different underlying reason for their aims. Thanks for the informative article and video! It really helped clear up a lot of queries I had about HMO fire safety standards! Just wondering whether I would need a Fire Panel for the following HMO I am working on in birmingham – I’m proposing a 6 bedroom HMO across three floors (including ground floor)? 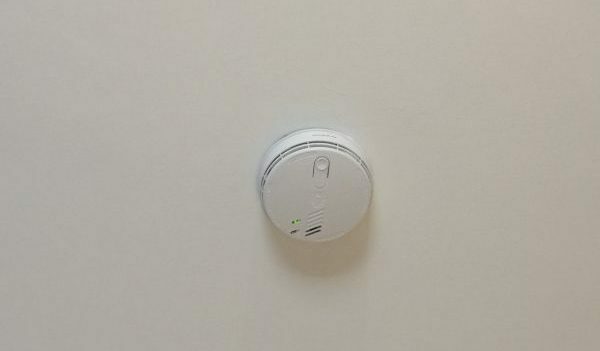 I understand I would need at least grade D fire alarms but would the inclusion of a 6th bedroom and the use of a third floor mean I would need a fire panel installed? Hi I’m looking to make an investment from 150k – 225k in a HMO in Manchester/Salford that can gain me double digit rental yield – hands off iff possible. Where in Manchester/Salford can I achieve this? – there is an opportunity in Ordsall, would you consider this a good area assuming I remain south of the ward close to the tram station on the southern tip? i live in an HMO property and for reasons you will understand i will not divulge its whereabouts but have questions. should ‘fire doors’ be marked -‘fire door-keep shut’ ? we have a fire exit marked on first floor landing-the arrow points to a small window-quite high up-and outside the window -about 10 feet to the ground -is this regulation gone potty or do they really expect people to jump out of first floor window onto solid ground?